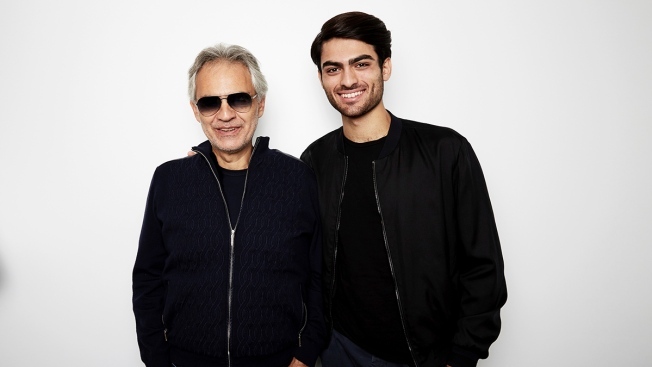 The father-son duo sang the song "Fall on Me" from Bocelli's new album "Si"
In this Oct. 26, 2018, photo, Andrea Bocelli and his son Matteo Bocelli pose for a portrait in New York to promote the album “Si,” a collection of duets, including their father and son song, "Fall On Me." Italian star tenor Andrea Bocelli has teamed up with singers like Luciano Pavarotti, Placido Domingo and Ed Sheeran for acclaimed duets during his career, but singing with his son Matteo is something he hopes feels extra special. "Matteo needs to finish his studies to be a serious singer," said Bocelli, seated next to a smiling Matteo. "When you go to the doctor or to see a lawyer, you expect to find a serious professional. The same goes for singers. But Matteo has shown he has a gift. He has something you don't learn." Matteo agreed with his father. "This album was born over time. I was looking for songs that are up to [the] expectations, that are beautiful, and, well, it wasn't easy to find them," he said. "I hope 14 years have been enough [time]." 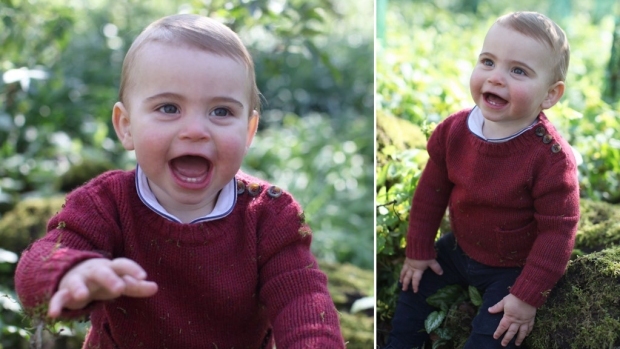 "The best advice I can give [Matteo] is through example," Bocelli said. "He has seen me work since he was a boy."